And the shalom of God, which surpasses all understanding, will guard your hearts and your minds in Messiah Yeshua. The sky has been blue and dotted with clouds. Its summer and its hot but somehow reassuring to know the seasons are given in their place. For a cool summer activity I have been giving out shalom fans. In summer in Japan fans are given out with all kinds of messages. Mostly commercial for like cell phone companies and etc, so I had the idea when I see them, that if people are carrying fans, to make one with a message of Shalom. in collaboration with a graphic artist who formatted my drawing into a design for printing. 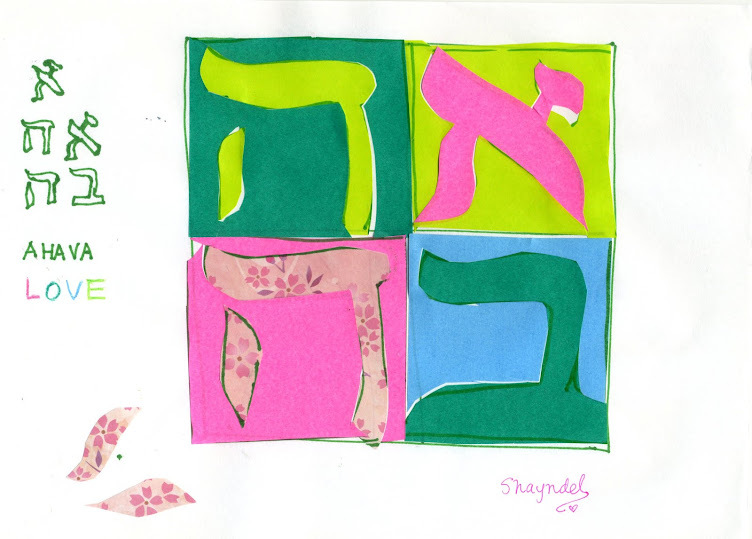 Can you see the little challah in the Hebrew letters?! There are loaves and slices! As well as Mt. Fuji in the background on one side, and an elongated hot springs mark on the other, and of course cherry blossoms in the letters that say `Shalom` ! Its really nice to hand one to a friend or to a stranger on a hot day. Sometimes I tell about it and the meaning and depending on how far I can get in the conversation, but other times I will just hand one to someone and am learning that just that gesture is sometimes more than enough. I tend to sometimes rely on words, and today when I just gave it to some people who looked hot in the sweltering sun, I realize that Yeshua was teaching me something about Him in that moment. It was freeing to just to give without a whole explanation. I have a lot more to distribute and pray that He will multiply the knowledge of Him through this summer project and that I too will learn more about His great shalom!! Funny I thought it was for me to `teach` others with this large package of shalom fans, but now I see that it is I who have a lot learn!! Seek shalom and pursue it... this is a Word for me today. Thanks. Amen! thanks Sandi! Glad it spoke to you today! I love the whole Psalm, there is so much in it. It seems your fans are the best ambassadors of the hebrew word shalom! And you have a giving nature which is hard to compete with. May God give you everything you wish for! Its been really fun, and as you said a chance to experience His love anew in each meeting! !